Product is supplied in a plastic jar. 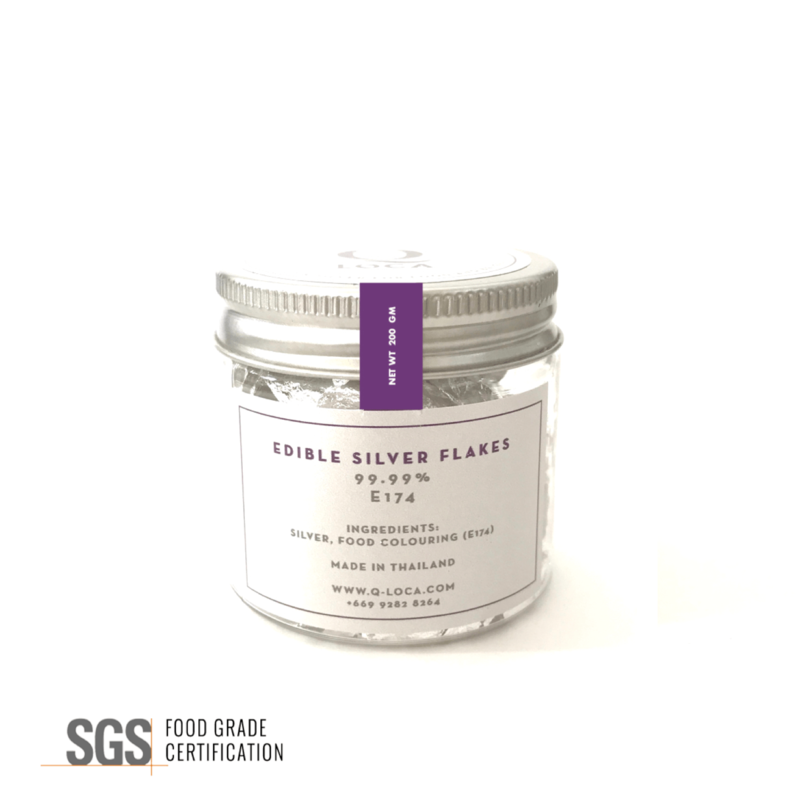 Edible Silver Flakes are now available in a plastic jar. Turn your desserts and culinary presentations into works of art with this genuine Edible Silver Leaf Flakes Ideal for special occasions like Weddings, Engagements, Anniversaries and Celebrations Create exquisite desserts and memorable dining experiences by simply adding elegant Edible Silver Flakes to Champagne, Fine Baked Goods, Candies, and Holiday Cakes. Edible Silver Flakes is also great for chocolates, fruits, cakes, marzipan, etc.